Walk On The Wild Side With Odiham Art Exhibition | The Frame Gallery. For framing, art, sculpture & gifts. 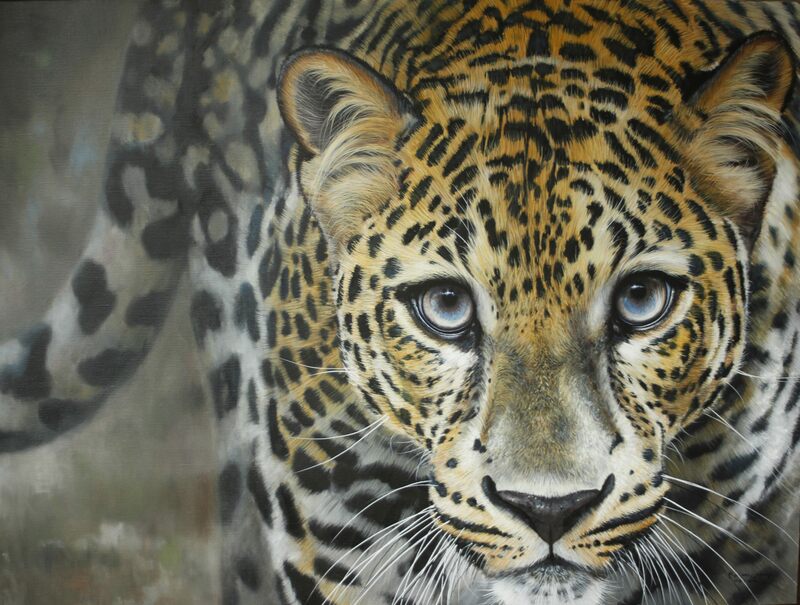 Internationally renowned artist Pip McGarry returns to The Frame Gallery in Odiham to showcase his latest oil paintings collection, ‘Big Cats And Other Animals’ which will also feature the work of Gale & Alex McGarry. The Hampshire-based wildlife artist, who has been artist-in-residence at Marwell Zoological Park in Winchester for nearly 20 years, brings his latest collection to The Frame Gallery in Odiham High Street for a fortnight-long exhibition, which opens on 5 May and runs until 19 May. Sign up to receive your invite to our private view of this exhibition. We will from time to time send your exhibition invites and gallery news. Your data will be kept securely and will not be shared. Pip McGarry said: “I am excited to be bringing my latest works backs to a beautiful venue, The Frame in Odiham. This 2018 collection sees some of my most detailed and charismatic work to date. I have tried to capture specific moments in time and bring them to life in front of your eyes. “This exhibition features a huge range of animals. I hope that, by displaying my creations alongside Gale’s still life and Alex’s animals, we will produce a collection that will leave a lasting impression. In 2016, a collection of Pip McGarry’s work was stolen from Marwell Zoo, where he has exhibited his work since 2014. Proceeds from his celebrated work go towards supporting Marwell’s animal conservation projects. Pip spends much of his time in Africa, and he has been on safari more than 30 times. This all contributes to his artistic authenticity. Pip also featured on regional TV in 2004 where he taught celebrities how to put paint to paper. Pip’s highly anticipated exhibition launches with a VIP reception on Friday 4 May. Please call The Frame Gallery on 01256 701082 to find out more information about the collection.